The Dunlop family have been working directly with Textiles for over 100 years. Starting in New Zealand in 1907, the 4th generation now run the company – assuring James Dunlop remains passionate, innovative and delivers consistent quality throughout Australasia, Asia, the US, and further abroad. The James Dunlop ethos is to offer the very best quality in drapery, upholstery and wallpaper, whilst remaining on-trend and relevant. 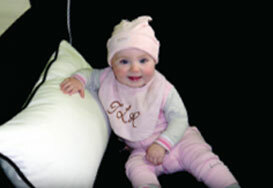 The textiles are woven and printed in the finest qualities, with extensive colour palettes, at competitive price points. We love to excite the market by creating bold and colourful designs, that complement our comprehensive range of plains and textures. With such a wide variety of both residential and commercial products, our designs are woven by leading mills from all over the world. James Dunlop are proud to have strong ongoing relationships with Australian textile weavers, and run many designs produced here in Australia. James Dunlop together with Mokum Textiles share Showroom and customer service resources nation wide, with trade showrooms in Sydney, Melbourne, Brisbane, Adelaide and Perth.